Another fun day at the hawkwatch. Not down to the hawks particularly, or in fact anything else that flew overhead, but mainly down to stumbling on this awesome little guy somewhere out in the vicinity of North Greenwich (no details – by order of the COA). I managed to come upon this diminuitive little owl after being directed to his presence by a rather alarmed trio of White-throated Sparrows. They were chipping furiously and as I approached them, I swiftly realized that whatever had them worked up was important enough that they were completely oblivious to me. 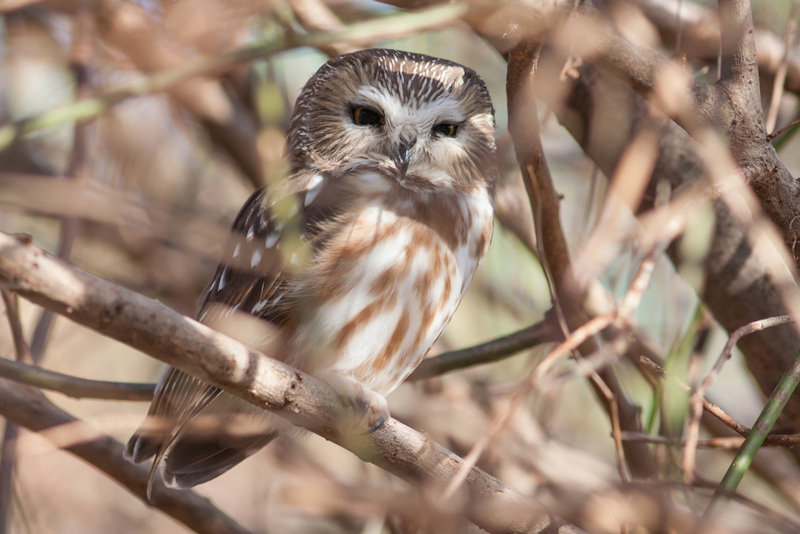 I already had Saw-whet in mind as the likely culprit as I peered through the tangle and discovered this cutie snugly hunkered down in a mass of vines and branches. I have to say it never ceases to amaze me when I find one of these things. I think this is the first time I’ve discovered a Saw-whet thanks to some help from some mobbing passerines and although I had it in my mind that this is what they had tracked down it was still something of a shock that the bird turned out to be there. I remember having the same feeling of surprise when I first looked up from a pile of pellets and white wash (probably the thousandth I’d checked) to discover my lifer sitting in a Red Cedar at Saugatuck Falls one winter. Although I am usually reluctant to share information about owl sightings (you’ve heard the horror stories…) I had to try and get a few people on the owl. I think everyone who works at the center enjoyed heading seeing him and best of all we managed to share this special bird, and moment, with some very thrilled 2nd Grade kids who were visiting Audubon Greenwich on the day. That is a beautiful little owl. Thank you for sharing it. I am following a Great horned Owl and the crows often times alert me to where the Owl is or where the red tail hawks are. What do you mean about the horror stories of owls? Thanks for the nice comments. Unfortunately every now and then some birders and or photographers tend to get a little ‘overenthusiastic’ when looking for and photographing these birds. 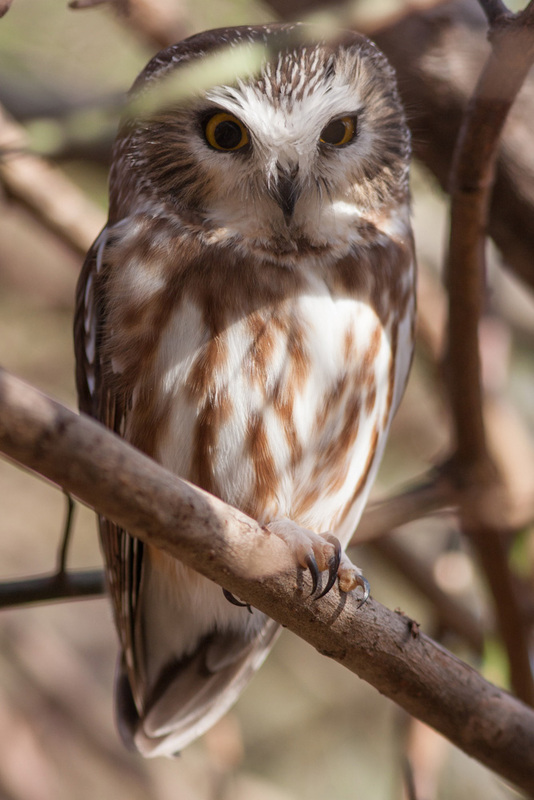 For that reason day roosting owls are no longer allowed to be reported on the Connecticut listserve. Up in Western NY where I do a spring hawkwatch they are still reportable but recent experiences with some peoples behavior (cutting branches, sticking cameras a few feet from owls faces, or playing tapes to get them to open their eyes to get better shots etc) has meant that less and less people are now reporting them. I had no idea people would do that. I need to be careful now about how much I saw about the GHO that I observe. This is hands down the best photo I’ve seen of a Saw-whet. Great post, thanks for sharing! 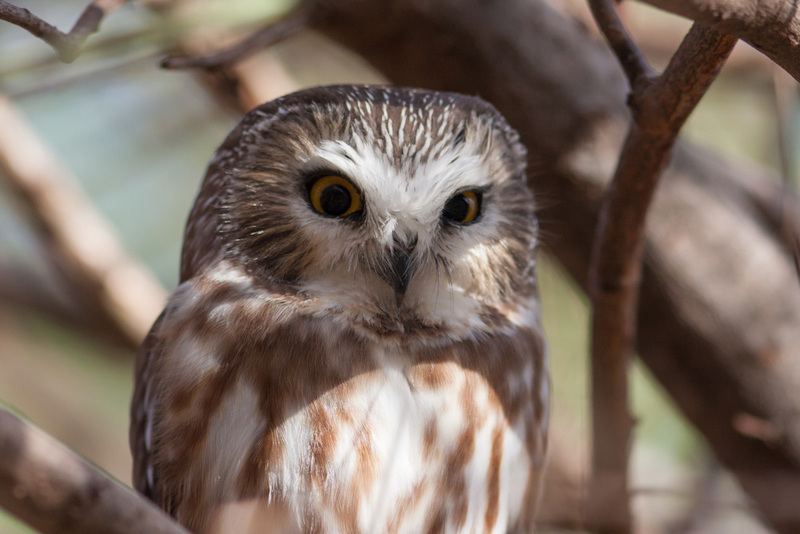 You are probably OK with GH Owls as they tend to just get up and leave during the day if disturbed and can probably take care of themselves more in that way. It’s Long-eared and Saw-whet which tend to be a little more sensitive.